FOR DOP/LIGHTING CAMERAMAN/CRAFT CAMERAMAN WITH FULL SONY FS7 KIT - FURTHER EQUIPMENT AVAILABLE TO HIRE AT PAY-AS-YOU-GO RATES. No drone! To shoot principal photography, interviews, actuality, e.t.c. Note 1 - The FULL FS7 kit includes: Camera with monitor, zoom lens & 3 primes, tripod, full lighting kit and top-mic. Further PAUG kit hire available. Note 2 - Further hours £45 ea. Includes the drones. Plus a BASIC Sony FS7 kit with Jon operating to help cross shoot, acquire GV's and shoot B-roll when not flying. Note 2 – The BASIC FS7 kit includes: Camera, zoom lens, tripod, 2x LED lights with stands and top-mic. Further PAUG kit hire available. Note 3 - Further hours £45 ea. Note 1 - Inc 6 flights. Pre-flight prep requires 30 mins and 15 mins post flight. No refund for unused kit. Note 2 – The FULL FS7 kit includes: Camera with monitor, zoom lens & 3 primes, tripod, full lighting kit and top-mic. Further PAUG kit hire available. Osmo X5 and Jon Chappell operating the above for the day. Note 1 - Inc 6 FLIGHTS. Further flights at £25 ea. Pre-flight prep requires 30 mins and 15 mins post flight. No refund for unused kit. Note 2 - All miles @ 45p. Further hours £45 ea. SOUND RECORDING OTHER THAN TOP MIC WILL INCURE AN ADDITIONAL £30 CHARGE. DOP/Shelf-shooter EXPEDITION RATE, inc bespoke FS7 kit and DRONE. Terms & conditions apply. 10 hour day rate. Jon has over 30 years experience as a cameraman and has filmed in 60 countries, including 3 months in Afghanistan during the recent conflict. He shoots for the edit and consistanly delivers tidy rushes. Jon knows when the action is good and when to stop filming to avoid overshooting. Call Jon on +44 (0) 7710 390 994 or email: jon@m60.tv to discuss this deal. Per 10 hr day, for all days including travel days. Filming with the Phanton 4 Pro+ drone is available from £650 per day. Hours over 10 @ £45/hr. All flight days will require planning. The flight planning fee is £20/flight. The prep fee is still due if the aerial filming day is cancelled by the client. For simple locations the planning fee will not apply. Cancellation due to weather will be M60's decision, NOT THE CLIENT. Max 3x 20 min flights without safety break. More than 6x 20 min flights per day is subject to an additional fee. Director/Camera Op. & standard kit - £700/10 hrs + PAUG kit. Hrs over 10 @ £45/hr. Every video production is a unique project and the cost is difficult to predict. At M60 we charge £35/hr for planning and research. See above for the cost of filming. Editing and post production is charged again @ £35/hr. Expenses will be invoiced separately. Travel time - £25/hr. Over 4 hours travel will be charged at a daily rate. Travel days in the UK - £250 for 5 to 10 hrs or travel at weekends. Hours over 10 - £25/hr. Van miles - 45p/m ~ 75p/m depending on usage. Carrying none M60 kit and staff will incure the higher rate. FURTHER IMPORTANT TERMS AND CONDITIONS - PLEASE READ! M60 TELEVISION LTD GENERAL TERMS & CONDITIONS - V01/03/19. This agreement formalises the established work practice & etiquette by which we operate. The following points form the basis of our employment / engagement / assignment, subject to different conditions being agreed to in writing outside the scope of this document. We enjoy a fair workplace, operate with goodwill and professionalism and hope you view our Terms & Conditions as reasonable. Please negotiate or clarify any points prior to the shoot commencement. No response via email to these T and C’s will be deemed a tacit agreement to them. The Hirer – The Production Company or Agency hiring the services of M60 Television Ltd / Jonathan Chappell and / or hiring camera and associated equipment from the above. Listed rates are offered as a guide and subject to change with job specifics. Daily bookings are taken in time-specific 5-hour (half day), 10-hour (full day) & 12-hour (long day) increments, with overtime charged beyond time. A half day is billed as a full day once hours exceed a 5 hour period including travel time. A Hold / Pencil may be cancelled by either party. A Hold / Pencil is considered Confirmed 48-hours prior to the day of the booking unless cancelled or negotiated. These times are measured by business days, excluding weekends & public holidays. The onus remains with The Hirer / Production at all times. crew labour and kit combined. Times and timings are measured from Portal to Portal (equivalent to Base to Base in UK TV terms) in all national & international locations, inclusive of lunch, travel & appropriate breaks. The “call time” is measured from the First Requirement of the Day. Wrap is defined as Departure From Final Location. Overtime still applies on negotiated alterations to standard rates such as the 10 hour rate being extended to 12 hours with no additional charge. In this case Overtime becomes due once the 12 hour point is reached. A Work Day or Overtime Buy-Out is bound by a Limit On Working Hours set at 14-hours on Production Days and 16-hours on Travel Days, including long-haul flights. Overtime is measured per hour or part-thereof and applies to all Productions unless specifically negotiated in advance of the shoot commencement. Overtime applies at the following hourly rates. Personnel quoted inclusive of equipment shall bill at an hourly rate of 1 times the hourly-rate. Personnel quoted separately to equipment shall bill at 1.5 times the hourly-rate. Beyond 14 hours, double & triple time rates apply respectively. Weather Holds / Pencils or Special Arrangements for being on call can be specifically negotiated. All Tolls, Parking Fees or Charges incurred in the course of Production are billed to The Hirer / Production. The Company charges for its vehicles at £0 GBP ex VAT per day for vehicle hire, £100 per day in London (to exclude Congestion Charge). It can carry up to 4 people in a Crew van in comfort and safety. Mileage is charged @ 45p per mile ex VAT with driver only and 65p per mile with passengers being carried on behalf of the production company. Mileage and hours accrued during the shooting day are based on a Base to Base basis unless specifically agreed in advance for each specific shoot. As a business, The Company can no longer give any free mileage due to the spiralling cost of motoring. Transport, in lieu of crew vehicles supplied by The Company, if provided by the Production must meet adequate in safety, comfort & security standards or be negotiated with respect to the nature of the production. A kit carrying vehicle must be large enough so that hard equipment cases can be carried in a separate cargo area to ensure the safety of passengers. Tape Stock/ Hard Drives / Media Cards provision are the responsibility of The Hirer / Production, unless agreed before the shoot commencement. Listed equipment is a guide and that brought onto Location is deemed appropriate. Equipment requests will be adhered to as closely as possible. Where specific models/items are unavailable a suitable replacement will be sought. Rental equipment sourced on behalf of The Hirer by The Company may incur a 20% handling fee in addition to tolls and charges incurred during pick-up & return. No responsibility whatsoever is accepted for equipment rented on behalf of The Hirer / Production. For technical failure or loss involving The Company owned equipment, excluding Dry-Hire sales only, the above named shall bear the cost of equipment replacement in the UK only. For all other Locations the Production shall bear the cost of replacement. No responsibility is offered for lost opportunity, lost imagery or lost sound arising from technical failure. With Equipment Dry Hire Rental, the Hirer accepts all equipment is in good working order prior to leaving The Company’s premises. The Company accepts no liability or responsibility associated with the rental, loss, or use of the equipment once it has left The Company’s jurisdiction. The Company gives no warranty The Equipment is fit for any particular purpose. The Company does warrant that The Equipment supplied is serviced and maintained regularly by proficient service agents to ensure industry standards are met. The Company recommends that critical backup equipment to be on hand or available nearby and that The Hirer’s production insurance covers mechanical breakdown. The Company shall not be liable for failure to perform due to the inability to obtain materials, shipment delays, acts of God, adverse weather conditions or other conditions beyond the control of The Company. Mechanical breakdown should be covered in the Hirer’s Production insurance. Due to the cost of discovering the cause of faulty integrated circuits, the actual cause of some breakdowns cannot be traced. The Company warrants that at the beginning of the shoot “dead’ pixels will be masked by appropriate in camera technologies. The Company takes no responsibility for “dead” pixels appearing during the course of the shoot. The Hirer agrees that HD and 4K monitoring is inadequate using a viewfinder alone and The Company cannot be held liable for poor focus or non-sharp material, interference, video “noise” or any other fault that cannot be seen on field monitoring equipment. A safe workplace is maintained at all times where possible. All personnel reserve the right of refusal. Minimum 11 hour turn around/break/rest as per European Working Time Directive EU legislation for all crew is a requirement of booking. Productions planning to shoot in hostile environments must advise The Company prior to confirmation. Such environments include exposure to sand, salt, water, dust, biological and chemical agents, civil unrest and declared hostilities. The Hirer / Production must notify The Company of all reasonably foreseeable risks related to the job. During the production process only equipment damage or loss caused by employees of The Company is covered by the insurance policy of The Company. Loss or damage caused by theft, fire, shipment delays, acts of God, damage by adverse weather conditions or other conditions beyond the control of The Company employee using that equipment when the damage or loss occurred are also within the responsibility of The Company and The Company insurance policy. Any further loss incurred by The Company caused by the slow settlement of a claim by The Company from The Hirer / Production for loss or damage of The Company equipment will result in a further charge being made by The Company to The Hirer / Production. Equipment damage or loss, slow acting damage such as water ingress and cosmetic damage, caused by handling/operating by None Company authorised persons or by the actions of persons associated with and or employed by The Hirer / Production will be charged to The Hirer / Production in full. Authorisation to handle The Company equipment is restricted to senior persons in the camera, sound, lighting & grip departments. This may be extended to named persons associated with The Hirer / Production who are None Company but only if agreed beforehand. None Company persons may not operate The Company equipment in hostile environments such as those that may include exposure to sand, salt, water, rain, dust, biological and chemical agents, civil unrest and declared hostilities without the full agreement of The Company beforehand. If such operations are authorised by The Company any damage or loss will still be charged to The Hirer / Production. All persons using The Company equipment must as all times take adequate measures to protect that equipment from damage or loss such as appropriate use of rain covers and protective cases, not leaving equipment in exposed locations or areas contaminated with substances that may harm the equipment and not leaving equipment unattended or unsecured. The latter includes hotel rooms and vehicles. Equipment must not be left in unoccupied vehicles overnight or unoccupied hotel rooms unless significant steps have been taken to reduce the risk of theft such as hiding the equipment or locking it in a safe or other more secure area with the hotel room / vehicle. In this last case no alternative options must be available to persons responsible for The Company equipment. On location, all crew should have access to catering / welfare facilities, be suitably catered for by Production or Crew to be informed of special requirements prior to the shoot. Opportunity for a meal is due every five hours, with an hour’s overtime charged per missed opportunity to break and refresh. The Company reserves the right to refuse without penalty to mislead members of the public, contributors or authorities. The Hirer / Production are strongly advised to declare any likelihood of any such method of operation before shooting commences. In the event of imprisonment, capture, kidnapping, confinement other than for actions considered criminal in or under UK law, The Hirer will be liable to continued payment of equipment rental and crew labour fees beyond the contract period of engagement. labour fees will be limited to the daily rate without overtime until such time the release of or the declaration and or presumption of death of the crew by the UK Home Office and their UK government counterparts overseas. In the event of premature declaration, payments will be made up to the release of the crew or in the case of death, UK Home Office forensic opinion on date of death. Neither The Company or The Equipment supplied may be assigned to a third party or engaged by the hirer to work on any other project. Payment Terms are strictly 30 Days or as stipulated on the invoice. Late Payment may lead to Late Fees being charged at the rate of 10% of the total of the invoice value per month. Failure to pay within 90 days of the invoice date may result in legal action. Original Receipts are retained for The Company’s accounts and charges will be itemised on the invoice. Copies of receipts are available on request for production company accounting and verification. Copyright of all recorded materials in any media format remain the property of M60 Television Ltd / Jonathan Chappell until full & final payment has been received. If your organisation requires a PO (purchase order) to accompany any invoice submitted, it is a requirement of booking that the completed PO arrives before the shoot starts. If your organisation doesn't use PO's, the various emails, phone calls and the call sheet sent between The Company and The Hirer for the shoot will be counted in lieu of a purchase order. Risk for all “rushes” / recorded material passes on delivery to The Hirer / Production in accordance with UK law. This risk includes all digital media storage once it has left the cameras supplied or operated by The Company as recording devices and hard drives used in post shoot downloading of material. No responsibility is taken for storage of material or goods including “rushes”. The Company will not be liable for loss of any kind. Airport Transfers and/or Airport Parking are billed to The Hirer / Production. Daily Working Hours & Travel Days are measured on Portal to Portal (Base to Base in UK terms) basis in all national & international locations inclusive of lunch, travel & appropriate breaks. Per Diems must adequately cover meals, telecommunication & weekly laundry, with respect to schedule & destination. Alternate arrangements welcomed. Travel & Rest Days include zero filming. If shooting takes place on travel days, a full 10 hour day will be charged. Recce’s are welcomed on Travel Days with the proviso it is of reasonable duration and the site is en-route or within reasonable proximity of Crew Accommodation. Accommodation & Transport provided by the Production must meet adequate safety, comfort & security standards or be negotiated with respect to the nature of the project. All required payments must be received prior to commencement. Final payment including incurred costs is due upon completion of each schedule. Continuation Of Services beyond the schedule is negotiable. Discontinuation Of Services within the schedule incurs applicable Cancellation Fees and immediate transport to Home Base for personnel and equipment. Scheduled Payments negotiable for long-term projects. Recorded materials may be withheld until receipt of due payment. When recorded materials are withheld, returns will be arranged upon receipt of payment via the The Hirer’s / Production’s means & expense. All due care taken, no responsibility accepted for losses. This agreement is governed by the laws applicable in England and Wales. The Hirer agrees to fully insure The Equipment against all risks including terrorist acts, customs / govt. agencies, civil commotion, war, military and paramilitary action. It is strongly recommended that your insurance covers subsequent loss of hire / continuation hire charges. In the case of lost, damaged, impounded, borrowed or stolen equipment, The Hirer / Production shall pay The Company an extra hire charge until such time as the original equipment referred to is appropriately replaced, repaired or recovered. Any extra hire charges shall be paid by The Hirer or their agents to The Company for up to 13 weeks. After 13 weeks equipment will be replaced on a new for old basis. In the event of any claims covered by production insurance for losses against equipment or vehicles supplied by The Company used pursuant to location filming, these claims will be made on a new for old basis only and will be settled as such. The Hirer / Production company are responsible for all damages and losses under their insurance if equipment supplied by The Company is left unattended / unsecured in the care and custody of their production team members only. This provision also extends to the vehicles supplied by The Company. The Company reserves the right to withdraw services on a Day to Day basis without penalty if the working environment is considered unsafe. This includes working from and at height, from and with moving vehicles, boats and aircraft, in and around crowd disorder, covert activities and self driving when time pressured or fatigued. The Company reserves the right to refuse to appear on camera or for voice recordings to be used in the production or in any associated behind the scenes / promotional materials. The right to deny permission to use material where the presence of camera crew are visible or to be reacted to by others by appearing on camera is upheld. I hope you view these Terms & Conditions as fair & reasonable. The intricacies of the industry are presented to promote transparency and avoid unnecessary dispute, so please clarify or negotiate any points prior to production. These T and C's are available on letterhead hard copy as well on request and on the www.m60.tv website on the T&C’s page. I have had to become diligent with these points as I have had some production teams really push the envelope in the last year with some extraordinary requests and expectations as to what am I provide in the line of my duties on location. We look forward to smooth business dealings and great shoots with you. A pencil booking is NOT A PROPER BOOKING! It is only a note in our diary that you may be interested in filming on the specified dates. M60 will accept multiple 'PENCILS' for the same dates as approx 50% are cancelled. If other clients are able to confirm then we reserve the right to accept the confirmation without informing those with PENCILS that the crew is no longer available. We will always try very hard to keep you informed but due to communication issues this will not always be possible. M60 Television Ltd reserves the right to charge in full for all cancellations with less than 24 hours notice. Lesser charges may apply for cancellations with increased notice periods. Even a PENCIL booking can incure a cancellation fee if it has been present in the diary for a longer period, e.g. over a week, and notice of the cancellation is late, e.g the day before. In the case of drone filming, which nearly always requires a prep day, the prep day may still be charged @ between £125 ~ £275 if the aerial filming day is cancelled by the client. If weather or other situations cause an aerial filming day to be cancelled then M60 will automatically offer clients an alternative filming day. If M60 can not offer other dates then the prep day fee will be returned. The decision to cancel aerial filming due to poor weather will always be made by M60 and not the client. If the client cancels then the prep day fee will be due and also a furher cancellation charge. We reserve the right to request a 33% deposit from new clients and further staged payments as work is delivered. The weekly buy-out rate is based on a 5 day week. For long term bookings this 5 day rule may be relaxed. The special rates and deals, published above, are by invitation only. Clients may be offered these rates in return for longer bookings or regular/repeat filming work. It is unlikely that these reduced rates will be available for short notice and weekend work. 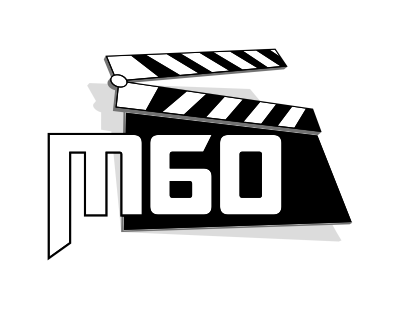 M60 will MAY NOT ACCEPT buy-out deals for filming, travel or editing. If the hours on a location day, including the travel, go over 10 then we reserve the right to charge for extra time. If edits require additional work or multiple sets of amends and exceed the original estimate then again we reserve the right to charge for additional hours. We reserve the right to charge DOUBLE the standard rate (2x £750 plus any extras hired) for days that exceed 15 hours inc travel. Long days like this have a severe detrimental effect on the health and welfare of a crew including a greatly increased risk of accident during the journey home. This double charge is designed to detere clients from arranging or allowing extended days. Once M60 crews have handed over any media cards or other storage solutions containing program material, it then becomes the clients responsibility to safely transport, copy and store this material. M60 would expect/recommend that all clients make at least one further copy of this material at the earliest opportunity. IMPORTANT - M60 Television Ltd will only keep copies of clients video material for 12 months after the filming date. After this time, due to the unreliabilty of harddrive, we can not promise that your material is safely stored. M60 requires that clients booking hotels for crew arrange secure overnight parking for the camera car, whenever possible. For each edit we allow clients a single set of amends, normally one side of A4. Further amends will be charged at the standard edit rate of £35/hr unless surplus edit time is available. Edit hours are 9am to 6pm. Out of hours editing will require additional charges. Some clients in the past have used the infrastructure of M60 Televison Ltd to enable the completion of a filming project when they do not have a suitable limited campany themselves. In this case M60 will take a fee of 7% of the total turnover of the project to cover risk, additional admin, accounting and insurance costs. Please note that all published rates exclude VAT, travel, accomodation and food expenses, which will be charged. The above rates do not apply during the Christmas holiday period.